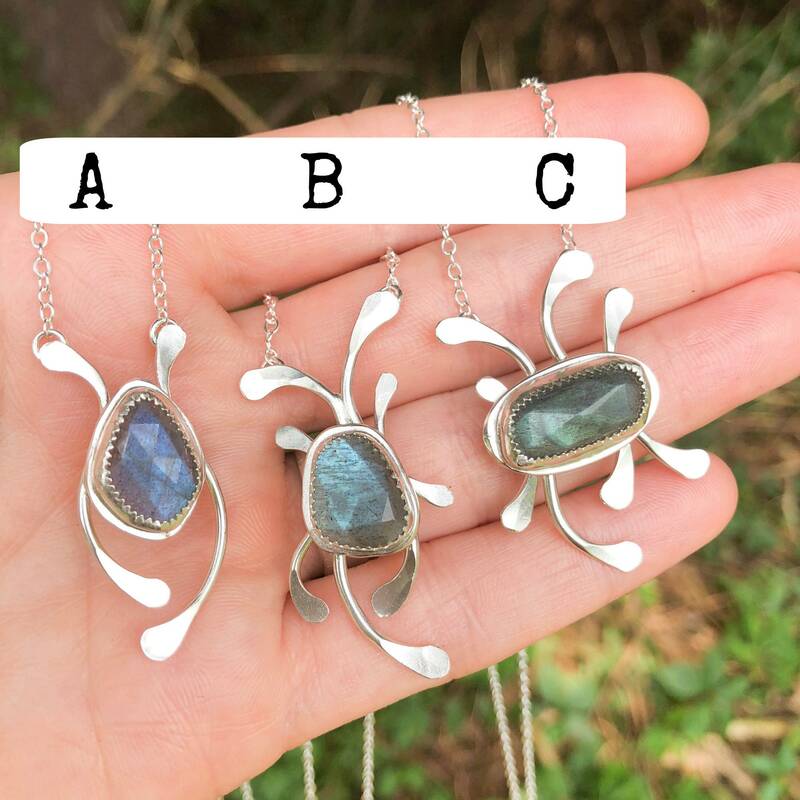 * There are three necklaces available as shown, each is a one of a kind and you can make your selection with the dropdown menu. 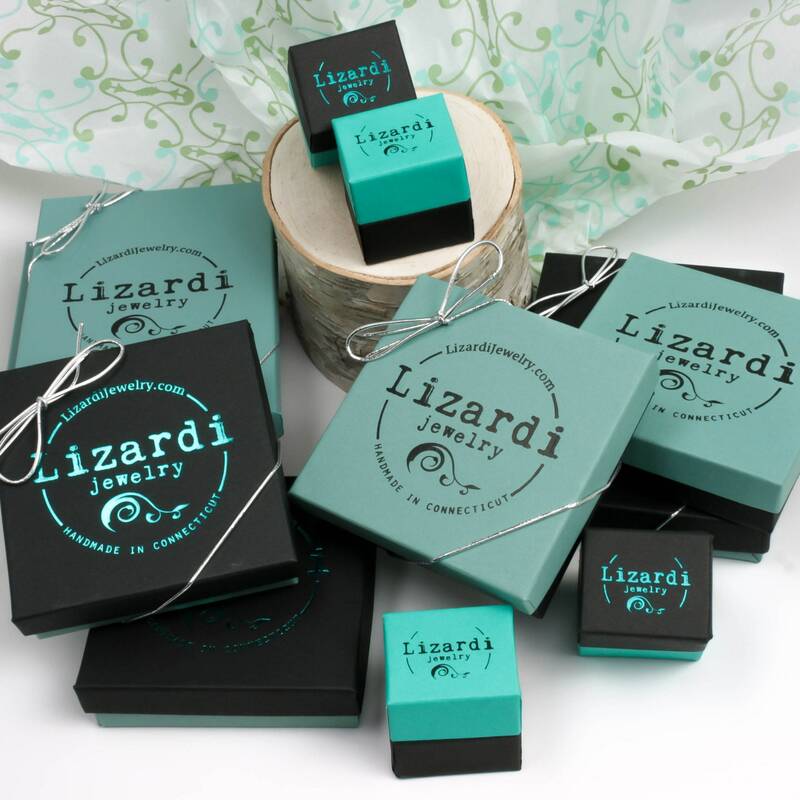 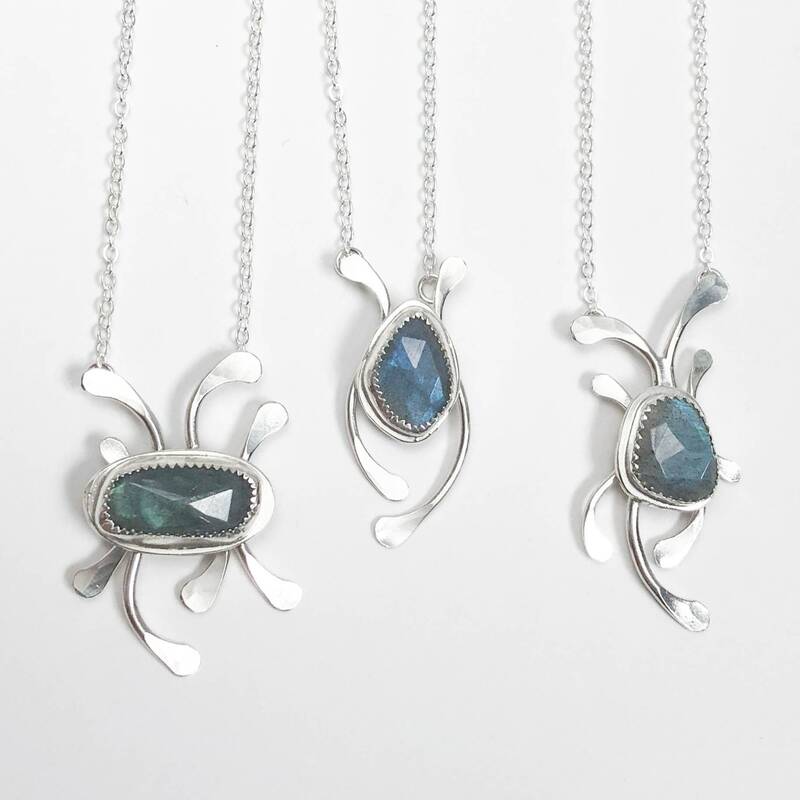 * The pendants range in length from 1.4"-1.6" long. 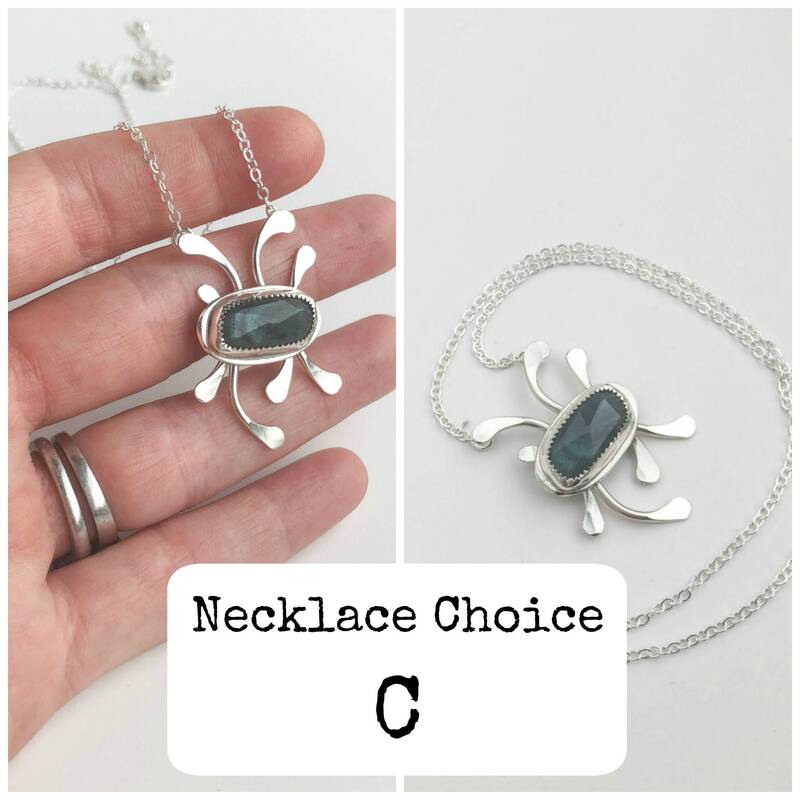 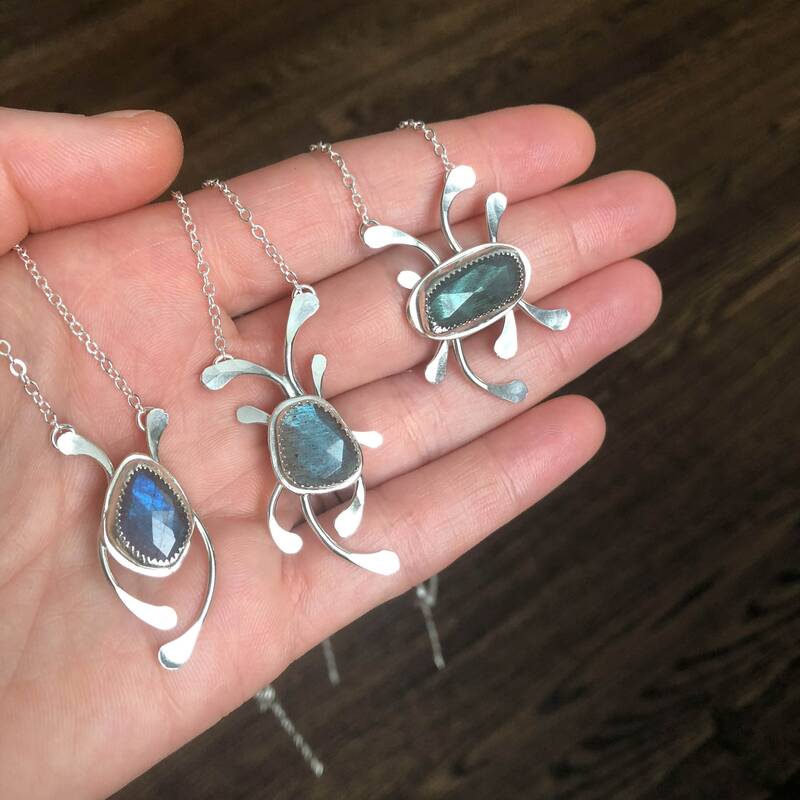 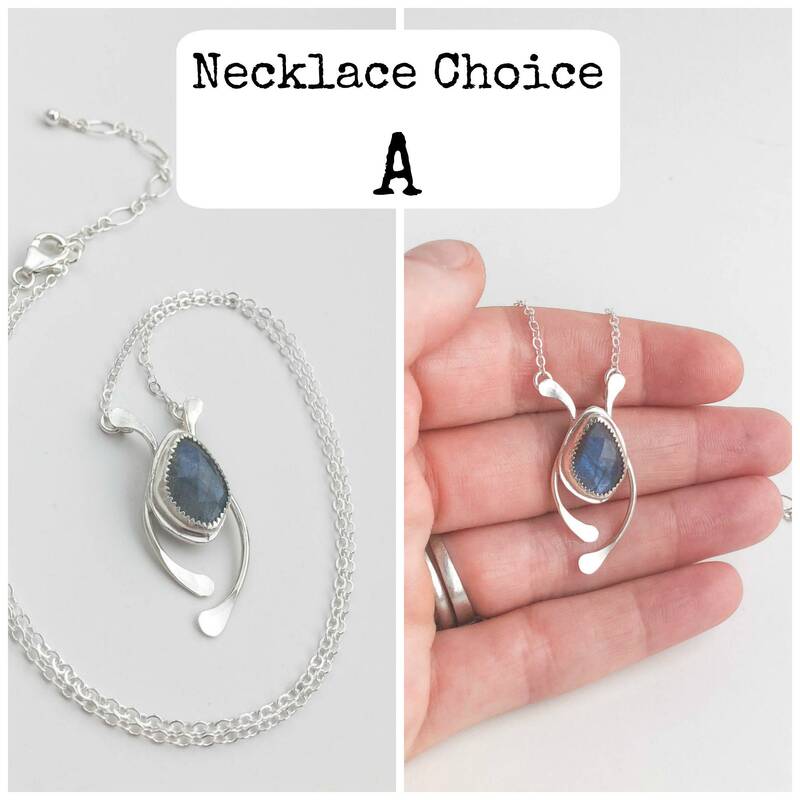 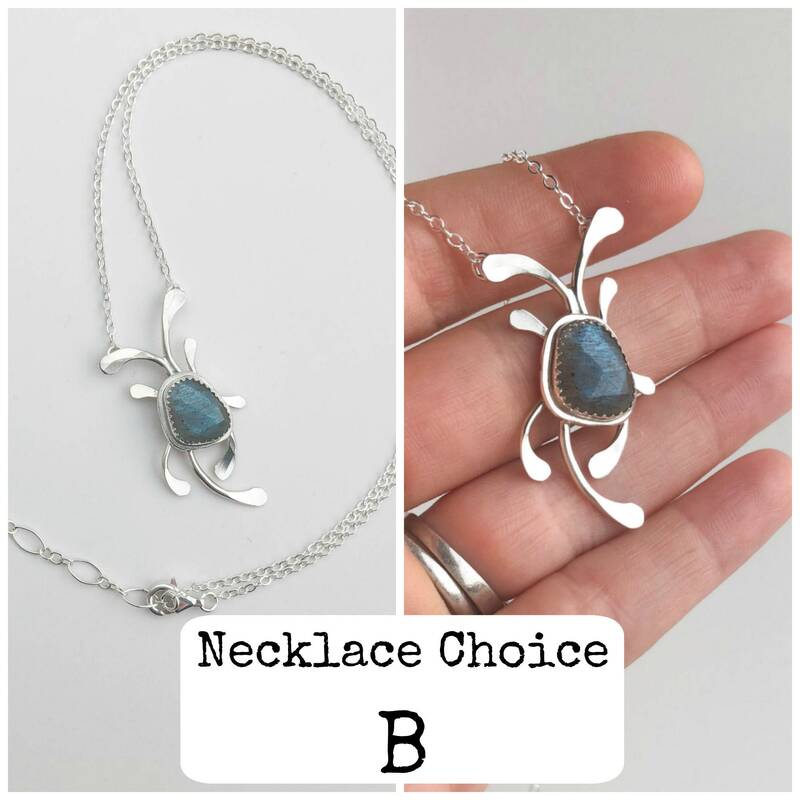 These unique labradorite pendant necklaces were handmade with solid sterling silver and rose cut labradorite gemstones. I created custom settings for each of the stones, I used heavy silver wire to form the swooping accents and hammered certain areas to give dimension and movement to the design. 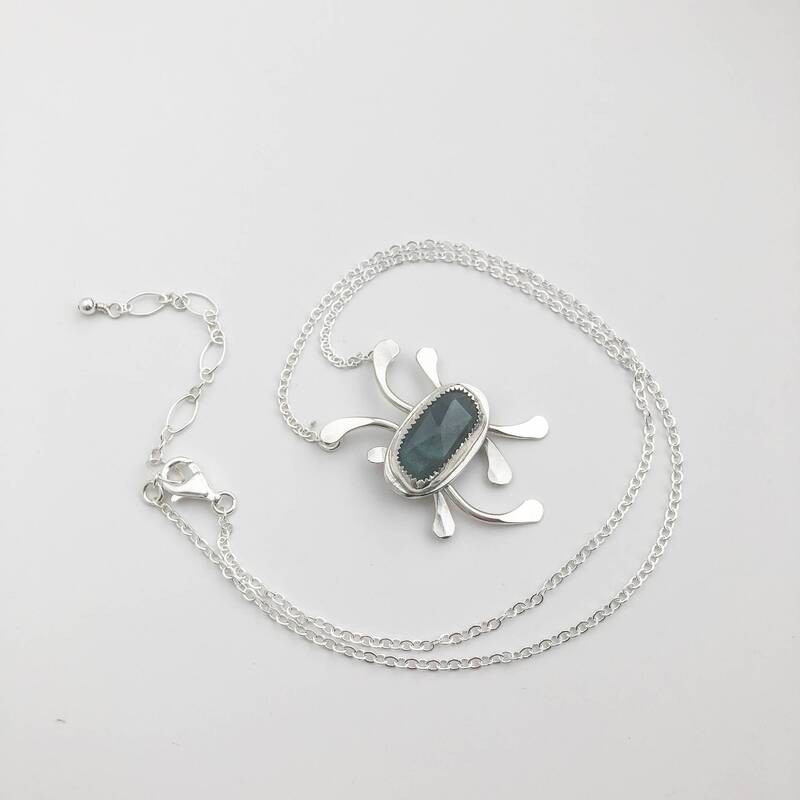 The silver is polished to a high shine and the sterling silver chain is adjustable from 18"-20" with a lobster claw clasp and built in extender chain.